Look, we’ve done the whole “Hannibal creator and showrunner Bryan Fuller is sadistically toying with the freshly cancelled show’s devoted audience, just like someone we know, ahem” thing before, but the man just can’t seem to help himself. Fuller used the show’s postmortem press rounds to yet again tantalize/torture his audience with what could be if we—“we” in this case being the programming executives at Starz or Amazon or whatever—would only give in to Hannibal’s dark vision. The show ended its improbable three-season run at NBC over the weekend with an open-ended final episode in keeping with the series’ embrace of the florid language and Grand Guignol horrors of author Thomas Harris’ Hannibal Lecter novels, as well as its rejection of those novels’ more conventional FBI procedural elements. In interviews with outlets including HitFix, Crave Online, The Hollywood Reporter, IGN, and (pause for breath) Vulture, Fuller has now gone into great detail about how he would have applied the Hannibal approach to The Silence Of The Lambs and how he may just be able make that happen after all. In several of the interviews, Fuller said producer Martha de Laurentiis is currently looking into a number of possibilities, including taking to Kickstarter to finance a feature film followup to Hannibal’s three seasons. That would allow him, as he told HitFix, “to return this cast to the big screen from whence they came, and Hannibal Lecter to the big screen from whence he came. It seems perfectly symmetrical.” Though he also called the odds of either a movie or an actual fourth season on another platform “less than 50/50, and not in our favor,” he still stressed that he remains hopeful it will happen, potentially as soon as a year or two from now. As for what Hannibal’s future would look like, Fuller explained to IGN that the next chapter would focusing on “redefining…the roles of Hannibal and Will Graham,” while also telling THR that “[t]here is something in the novel Hannibal that has not been done in any of the adaptations and I would love to explore that with Will Graham and Hannibal Lecter.” That statement might give any Hannibal fan, save the most devoted of Tumblr ’shippers, pause, considering that just about the only significant part of the novel Hannibal that was not adapted in either the TV show or the 2001 film was the controversial ending, in which Clarice Starling breastfeeds Lecter before the two abscond to South America together. 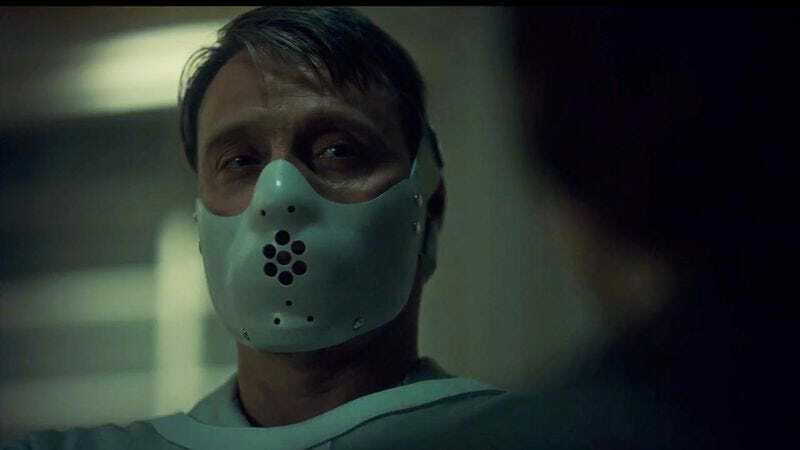 Whatever the case, further out, Fuller still wants to adapt The Silence Of The Lambs in his own Hannibal universe, in the event both that the production and financing stars align and that he and his fellow producers are able to negotiate with MGM to get the adaptation rights. In his IGN interview, Fuller said that, if those efforts are successful, his adaptation could take the form of a miniseries on Starz, the network behind his new show, American Gods. He gave the clearest vision of what a Fuller-ified Lambs would look like to Crave Online, saying it would involve Lecter back behind bars, “a severely scarred Chilton, now having returned to his post,” and the return of Miriam Lass—the sort of proto-Clarice Starling played in the show by Anna Chlumsky—as well as appearances from a number of key characters that would be new to the series, including orderly Barney Matthews, former Lecter patient Benjamin Raspail (already just a head in a jar in the book and movie, though Fuller said viewers could expect flashbacks to his days under Lecter’s dubious care), Starling roommate Ardelia Mapp, and serial killer Jame Gumb, a.k.a. Buffalo Bill.